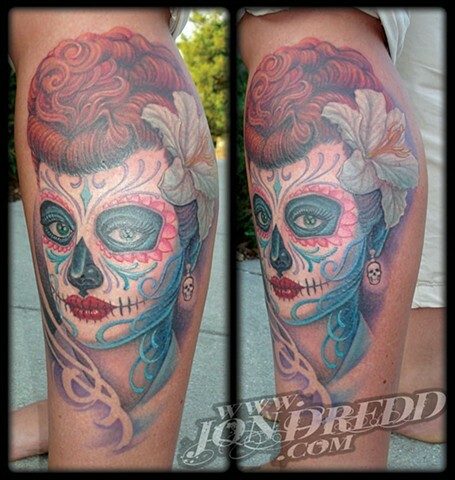 This tattoo is worn by a big a big fan of Lucille Ball, who wanted to change it up a bit, and bring in the painted details from a sugar skull. A lot of color went in to this one, and I am happy on how it came out. I wonder what Desi Arnaz would think?